At Thirdpathway Acupuncture you can receive care in a variety of Oriental Medicine modalities. 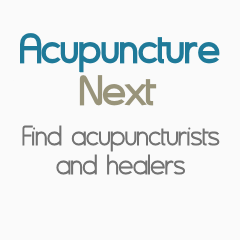 I offer several types of acupuncture technique, Asian body work, cupping, moxibustion, as well as herbal support and both nutritional and lifestyle coaching. As an acupuncturist, I am trained in Master Tung, Tan Balance, Korean Four Needle, and NADA techniques. As an Asian body worker I am trained in Qigong, Tuina and Reiki. I teach Qigong, Taiji and Reiki classes here in Laramie and also offer classes in meditation. In addition to the services that I offer in Oriental Medicine, I am also a certified professional life coach and offer both local face-to-face and distance (phone or online) coaching services. After I graduated from AOMA with the MAcOM degree, I moved to Laramie, Wyoming because (among other reasons) it represents an under-served portion of the country, and I was drawn to the stunning beauty of the area. In an earlier version of my life I was a university professor for thirty years and hold a doctorate in Geology (another reason why Wyoming was so attractive to me). I held tenure in Geosciences and also a cross-appointment in Kinesiology, where I taught martial arts and coaching martial arts classes. I am a life-long martial artist and hold multiple black belt ranks in traditional Ju Jutsu, Judo, Hapkido and Taekwondo. In my martial arts life, I have experience as a business owner (ran my own school for sixteen years), author (published four coaching books, wrote a monthly column in a national trade magazine for five years), and national level competitor, coach, referee. Aside from the martial arts books I have written, I am also a published poet, having published four books in the genre and am an award-winning nature photographer...which is yet another of the reasons I was drawn to Wyoming after graduating from AOMA. MAcOM, Academy of Oriental Medicine at Austin. Acupuncture specialties in Korean Four Needle, Master Tung, Tan Balance, and Mikio Sankey Esoteric Techniques. Additional skills in Tuina, Qigong and Taiji.